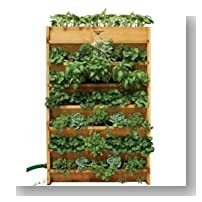 In this section we will cover step by step DIY instructions on how to make your own Tower Garden. Tower gardening is the latest trend that allows people to grow their own food at home. If you’ve wanted to grow your own fresh produce, but you don’t have a large yard, this is the answer you’ve been looking for. A tower garden is a type of vertical garden, and sometimes you use it to grow food aeroponically. That means that with some tower gardens you grow without soil using only air and water to grow your plants. 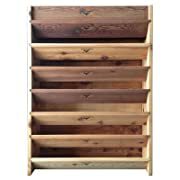 You can grow a large variety of plants vertically with or without soil - saving space. You can grow your tower garden on a roof, patio, or balcony. Even if you have a yard, you can save space by growing a tower garden. Tower gardens are also attractive and can provide you with a functional way to beautify a small space. With the price of produce rising and the safety of many commercial farms a concern, a tower garden is an investment that will pay off. This is perfect for the gardener who’s interested in producing organic food for his family. There’s obviously a benefit of being able to grow food in a small space with a tower garden. However, it has many other benefits when it comes to gardening. If you’ve ever grown food in soil, you’ll appreciate the ease of a tower garden. When growing without soil, you can eliminate most garden pests. Without soil, most insects that would attack your plants are not an issue. 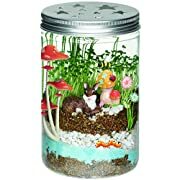 You may occasionally have to deal with some insects, but it will be on a much smaller scale. Weeding is another task that’s much less of a chore when you have a tower garden. It’s not impossible for weeds to find their way to your garden, but you’ll find that there are fewer than you would have in a traditional garden. Because you’re growing vertically, you’ll also have less bending and stooping than you would have when working with a typical garden bed. This is especially helpful if you have back or knee problems that make gardening difficult. This is also a cost effective way to grow your own food. 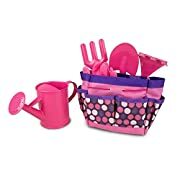 You’ll have to make an initial investment in equipment to grow your garden, but you won’t have to spend much after that. And the money you’ll save on produce will more than pay for the cost of the garden. And another added benefit of tower gardening is that your food will grow to maturity in less time than it would in soil. That’s less time for you to wait before you can begin enjoying the fruits of your labors. 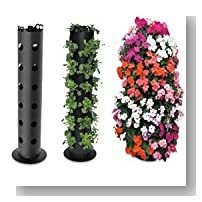 A tower garden is made of a large plastic column that has hydroponic net pots placed throughout it. Internally, a pump keeps water moving over the roots of the plants that you grow. The tower garden also has a reservoir that contains a liquid fertilizer that helps plants get the nutrients they need so that they can continue to grow. You’ll still need to make sure your plants get plenty of sunlight so that they can thrive. When you purchase a tower garden kit, you have to put it together. The process is simple and easy and usually takes about a half hour. You’ll have to grow your seedlings separately, but tower gardens come with a seed starting kit to help you with that part of it. 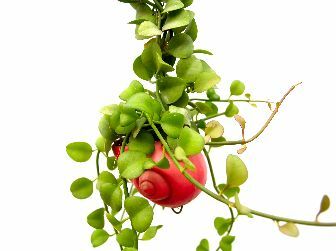 Once you have seedlings that are mature enough to be transplanted, you can add them to your tower garden. After that, you’ll have to perform some routine maintenance to care for your plants. You’ll need to test the water in your tower garden to make sure the pH is correct. 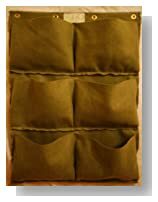 You’ll also need to clean the filter that keeps debris out of the pump. You’ll also need to make sure you don’t have any weeds or insect problems, though these are rare. 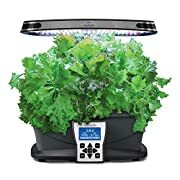 In a few weeks you’ll be able to harvest vegetables and greens from your garden that you can use right away in your kitchen. Fresh produce will just be a few steps from your back door. 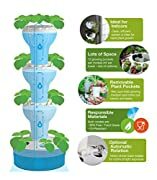 Foody 8 Hydroponic Tower - Indoor/outdoor Vertical Garden Planter - 40 Plants in 2 Sq. Ft. 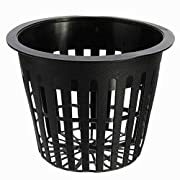 Premium Net Pots: 50-pack. 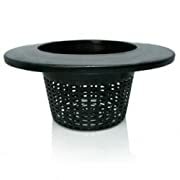 3-inch net cups, for hydroponics, aquaponics and orchids. 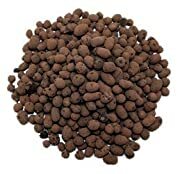 Leca Clay Orchid/Hydroponic Grow Media - 2 lbs. 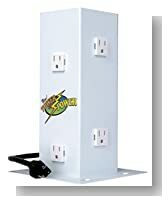 At this time, there’s one manufacturer of the official tower garden where you can purchase this system. One tower that includes everything you need to get started, including seeds, will cost you around $500. This tower will give you the space to grow up to 20 different plants. 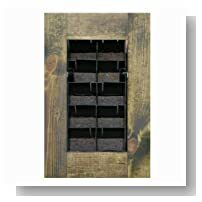 You can also purchase an extension that allows you to plant up to 28 different plants. Starting with one tower is a great way to get started. 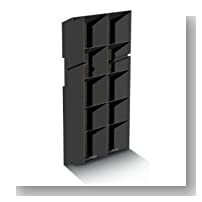 But if you have a large family and cook frequently, you may want more than one tower. 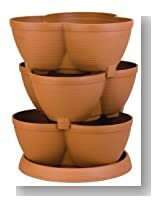 If you purchase the Tower Garden Family Garden package, you’ll save money by purchasing three towers at once. 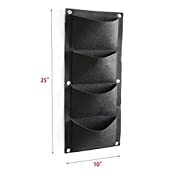 You can also purchase supplies separately if you need accessories or replacement items. You can also purchase a heater if you live in a cold climate so that you can still grow in cooler temperatures. Many people wonder if the garden is worth the upfront costs. If you’ve been to the supermarket lately, you know how much it costs to feed you family fresh produce. While you’ll have to spend money up front with this system, you’ll save much more than you spend by not having to purchase produce at the market. 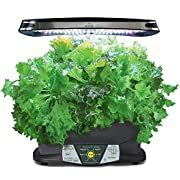 What Can I Grow with a Tower Garden? You may be wondering if a tower garden will really provide you with the types of foods your family eats. The good news is that a tower garden allows you to grow a wide variety of foods. You can grow vegetables such as broccoli, cauliflower, cucumbers, eggplant, endive, lettuce, peas, and spinach. You can also grow tomatoes, strawberries, and melons to add sweetness to your garden. If you love to use fresh herbs, a tower garden can help you enjoy your favorites. When you grow them yourself you get the freshest flavor. Herbs you can grow include growing cilantro, basil, chives, cumin, dill, lavender, oregano, parsley, sage, and thyme. But you can grow almost any herb. And if you prefer to grow flowers, or you just want to place a few different flowers in your vegetable garden, there are many flowers that grow well. Some of the most successful varieties are marigolds, salvia, pansies, and sunflowers. If you love gardening, you’ll be happy to know that you can grow almost anything you would grow in a traditional garden using less space and fewer natural resources. You’ll also get a large crop in less time. 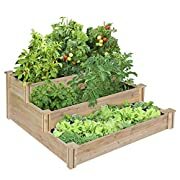 Most people who grow their own vegetables are interested in the practice of organic gardening because they want to avoid harmful chemicals including fertilizers and pesticides. 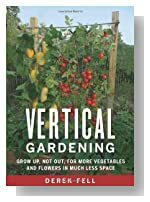 Tower gardening is not technically considered organic gardening because it doesn’t use soil – and that’s a key principle of organic gardening. However, you can eliminate the need for herbicides and pesticides by using this garden. 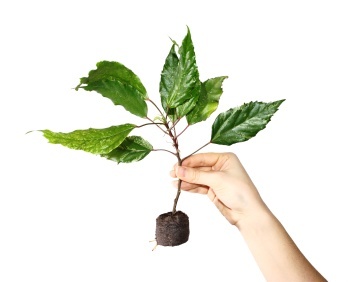 You will have to add a fertilizer solution to the plant roots because they won’t be in soil to get nutrients. Because this type of gardening takes less space and fewer natural resources than traditional gardening, it’s a good alternative that’s eco-friendly and safe for your family. 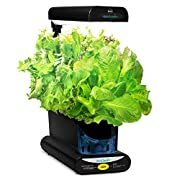 How Will Produce Taste from a Tower Garden? If you’ve never had fresh food from a garden, you’ll be surprised when you take your first bite of something you’ve grown. By the time your local supermarket gets the produce grown commercially, it’s been picked for days, weeks, and even months. Food is often harvested before it’s truly ripened to extend its shelf life. When you eat food from your garden at home, you can pick it when the food is really ripe and you’re able to experience a new level of flavor. If you enjoy specific flavors in vegetables or fruits, you’ll find those flavors are magnified when you eat homegrown produce. Tomatoes will be sweeter, peppers will have more intense layers of flavor and berries will be juicer. Once you’ve tasted produce from your own tower garden, you’ll never be satisfied with produce from the grocery store again. If you grow more food than you can eat in a short time, you can freeze, can, or dry it in order to preserve those fresh flavors. 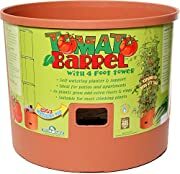 Is the Plastic in a Tower Garden Safe? 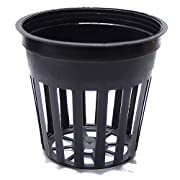 One of the greatest concerns people have with the idea of a tower garden is that some of the models are made from plastic. As you may already know, plastic can leach chemicals into surrounding water and soil if gets heated. Naturally, you don’t want your food to contain extra chemicals that are dangerous or can cause illness. The good news is that this type of garden is treated with a UV protector that helps keep the plastic from breaking down. 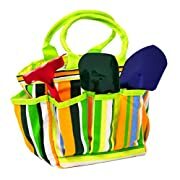 You can rest assured that your garden will grow healthy produce unaffected by chemicals that leach from the plastic because of this protection. 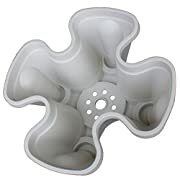 The plastic also helps keep the roots of your plants cool and prevents the growth of algae. Can Children Enjoy a Tower Garden? One of the best ways you can entice children to eat healthy foods is to allow them to have a role in growing it. Tower gardens are wonderful ways to introduce children to the world of food production. Many kids who grow up in urban areas have no idea where food really comes from. They simply see it at the store and some even believe that it’s made in factories. A tower garden is perfect for urban areas to give kids who live in a city the ability to see how food is grown and to enjoy the process. 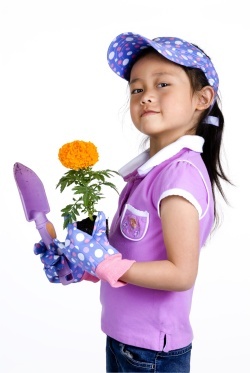 It’s a good idea to let kids choose some different varieties to grow and watch what happens. This is a great way to bring healthier foods to your table and give your children an education about safe and environmentally responsible food production. Now that you understand some basics about how to make your own tower garden, it’s important to also understand the health benefits for you and your family. 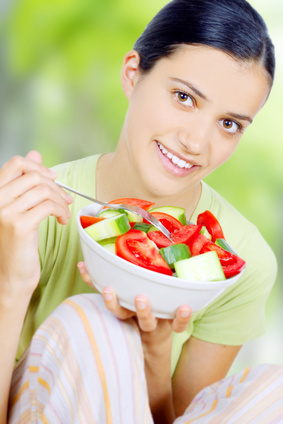 Many people don’t consume enough fruits and vegetables. This is sometimes because of the cost, but it’s also about the flavor. When you grow your own food, you’ll be saving money and you’ll have foods that are better in flavor. You’ll spend less time and energy on grocery shopping and more time enjoying food that grows outside your back door. You’ll also be able to enjoy food that’s free from toxins. Many researchers suggest that pesticides, herbicides, and chemical fertilizers can cause problems with inflammation, weight gain, cancer, and auto-immune diseases. When you grow your own food, you can eliminate anything that you don’t feel is safe. The fertilizer used for this system comes from minerals, rather than harsh chemicals that can be dangerous. The time that it takes food to travel from a large farm to a grocery store produce section is time for the nutrition to dwindle. When you eat fresh food from your garden, you’re getting more vitamins and minerals than supermarket produce provides. 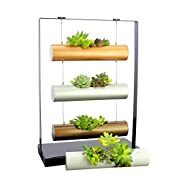 You may have thought you could never have a garden because of limited space or the inability to bring in soil, but a tower garden makes it possible to have a garden in any area that receives sunlight. You can also add a grow light if your patio doesn’t get at least four hours of sun each day. 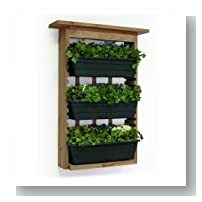 Aeroponic gardens are a wonderful way to grow fresh herbs and vegetables inside the house all year round, no matter what the weather is outside - I love them and have had a couple of Aerogardens going for years in my home! 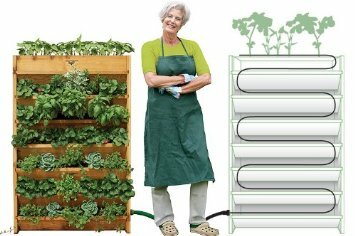 A tower garden is a cost effective way to enjoy fresh produce throughout the year. You’ll enjoy the ease of use, the speed of growth, the fresh flavor and the nutritional quality of the foods you eat. 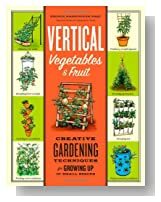 You can learn much more about gardening and how to make your own tower garden by studying the books available online, as well as applying the information here to learn more by trial and error. 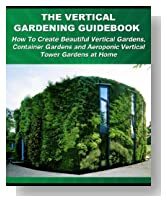 Below here I'm featuring more pages with helpful how-to-do-it tips on how to make your own tower garden. 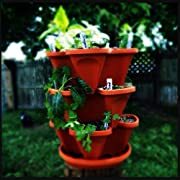 Back to HOME PAGE of this how to make your own tower garden section of the site.